John Connolly: "______" while driving. 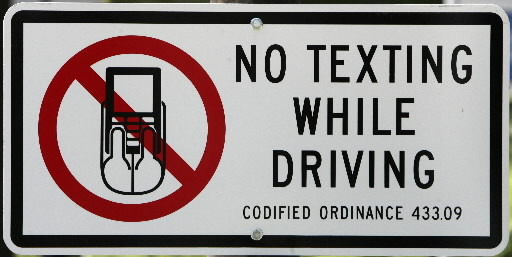 Why am I against laws specifically blocking "texting" while driving? They're redundant. We already have broad "distracted driving" laws. Adding new laws that cover the same thing is just political chest-pounding. They misname the problem. I'm likely not "texting" while at the red light. I am Googling directions and twittering an update about where I'm going. Calling it "texting" is just a way for older generations to try and stereotype distracted driving as a problem brought on by young drivers. Common sense, driving or anywhere else, should always be encouraged. I'm just uncomfortable anytime I see our government attempt to legislate it. I love this! And couldn't agree more! Been tossing around a post like this in my head for a while!